Mintex - I Say Ding Dong Shop - Buy Stickers, Decals & Unique Automobilia. 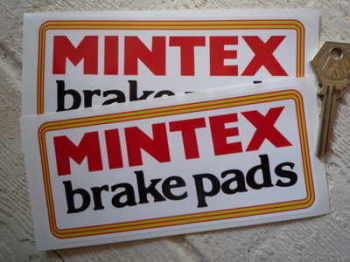 Mintex Brake Pads Oblong Stickers. 6" or 6.5" Pair. 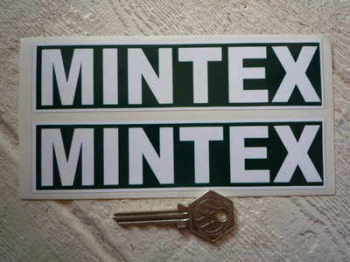 Mintex Green & White Oblong Stickers. 6" Pair. Mintex International Rally 24th-26th February 1978 Sticker. 6.25". Mintex Yellow, Red & White Oblong Stickers. 12" Pair. Mintex Yellow, Red & White Oblong Stickers. 8" Pair. Mintex Yellow, Red, & Black Oblong Stickers. 12" Pair.